5875 W. Van Horn Tavern Rd. MidwayUSA is a family-owned catalog and Internet retailer offering "Just About EverythingSM" for shooters, reloaders, gunsmiths, and hunters. MidwayUSA is a world leader in its market sector with annual revenues of $185 million. Ninety percent of the company's total business is with U.S. retail Customers, with dealer and international Customers making up the remaining 10 percent. Based in Columbia, Missouri, MidwayUSA has 243 fulltime and 100 part-time employees. Many in the company's workforce have a deep passion for shooting, hunting, and outdoor sports, allowing them to use personal knowledge and insight to better serve their Customers. MidwayUSA's strong focus on Customers has yielded an equally strong return in financial success. Performance results for gross sales, net income as a percentage of net sales, earnings distribution, and inventory turns all exceed MidwayUSA's number one competitor, with MidwayUSA's 2008 sales growth rate nearly three times higher. MidwayUSA's net income as a percentage of sales grew from 2.5 percent in 2003 to nearly 10 percent in 2008. Each one of MidwayUSA's 1,500 documented processes supports serving Customers. MidwayUSA's overall Customer satisfaction rating is 93 percent, demonstrating improvement over the 2007 and 2008 scores of 91 percent. Overall Customer retention is at an all-time high of 98 percent for the current year-to-date. Overall Customer loyalty, measured as "likelihood to shop again," is 94 percent. Financial performance results for gross sales, net income as a percentage of net sales, earnings distribution, and inventory turns exceed MidwayUSA's number one competitor, with MidwayUSA's sales growth rate near 25 percent for 2008 compared to 10 percent for the competitor. Net income as a percentage of sales grew from 2.5 percent in 2003 to nearly 10 percent in 2008. Results for indicators of workforce engagement and satisfaction in MidwayUSA's contact center, as well as employee satisfaction in its merchandising, marketing, and logistics departments, show levels comparable with national benchmark-performance ratings of 77 percent and 80 percent, respectively. The annual aggregated employee satisfaction survey score has improved from about 60 percent favorable in 2002 to 82 percent in 2008. MidwayUSA has a robust approach to determining workforce capability and capacity that assesses current needs and projects future needs one, two, and three years out. A refi ned model is used for workforce planning as part of the strategic planning process and links to fi nancial planning for current and future periods. The approach is also used as part of MidwayUSA's education, training, and development system. MidwayUSA's vision is both simple and challenging: "To be the best-run business in America for the benefit of our Customers." The company's management and employees firmly believe that they can reach this goal by incorporating the Baldrige Criteria for Performance Excellence into all aspects of operations. Baldrige Core Values and Concepts— including visionary leadership, Customer-driven excellence, organizational and personal learning, valuing employees and partners, managing for innovation, management by fact, societal responsibility, and focus on results and creating value— are an integral part of the MidwayUSA culture. In fact, these values and concepts are displayed in 30 locations throughout the company as part of MidwayUSA's mission statement. The MidwayUSA strategic planning process is a systematic, mature, fact-based process that is used to set the company's goals, strategic objectives, and action plans. This approach ensures key processes are aligned with company goals, Customer requirements, and core competencies. To properly execute the strategic plan, senior leaders and department managers develop action plans and associated metrics using a "plan, organize, staff, execute, and control" model. Leaders share measurements and results with departments and process owners through departmental reviews and a balanced scorecard. Quarterly, monthly, and weekly meetings serve as forums to review performance; communicate priorities; manage and improve processes; and share data, information, and knowledge throughout the company. To determine workforce capability and capacity, the company has a robust approach to assess current needs and to project future requirements one, two, and three years out. A refined model used for workforce planning as part of the strategic planning process is linked to financial planning for current and future periods. Additionally, each department at MidwayUSA develops and maintains a skills inventory matrix that feeds data to the organization's capability and capacity models. This information is regularly monitored so MidwayUSA can rapidly respond to short-term changes in Customer demand while still planning for long-term needs. Improvements in this workforce capability and capacity approach have resulted in improved recruitment, hiring, and staffing. MidwayUSA's dedication to Customer satisfaction shapes and defines every one of the company's 1,500 documented processes. One impressive way in which the company expresses this dedication is by seeking employees who are a strong cultural fit for the organization—people who are passionate and knowledgeable about shooting, hunting and outdoor sports, and who bring that love to the job. In addition, employees are encouraged to join the National Rifle Association (NRA) and participate in its shooting and hunting activities to gain even more insight into Customer needs and desires. Not only does this strategy create a workforce in tune with its Customers, but it increases employee engagement and lowers turnover rates compared to competing organizations. MidwayUSA keeps its employees connected to the Customer base by tasking all salaried employees (including senior leaders) with spending one hour each week on the phone taking orders and answering Customer requests. Employees are selected for leadership development based on their support of the company's core value of "Customer-driven excellence" in addition to other performance-based criteria. Another way MidwayUSA shows its commitment to Customer-driven excellence is by operating a highly organized complaint-management process that helps the company analyze complaint trends and categories, identify products with higher-than-expected return rates, and respond quickly when there is a problem. Information about complaints is distributed to the appropriate departments so that Customer feedback can improve processes. Through its Web site, MidwayUSA directly solicits Customer input on improving operations by regularly featuring online surveys, posting Customer reviews of the products the company offers, and providing an "I'm Having Trouble Finding" option so Customers can suggest additions to the product line. How well does focusing on Customer service work? MidwayUSA's Customer satisfaction rating recently reached 93 percent, up from 91 percent in 2008. In addition, Customer retention is at an all-time high of 98 percent. Overall Customer loyalty, measured as "likelihood to shop again," is 94 percent. MidwayUSA actively supports its five key communities— the NRA, the shooting sport industry, key conservation groups, the local community, and the state of Missouri— through its financial support (10 percent of annual profits) and other means, such as volunteerism, memberships, fundraising efforts, endowments, and scholarships. The MidwayUSA Foundation was established to provide fi nancial support for education and training in the areas of shooting, hunting, firearms safety, and outdoor skills. Another way that MidwayUSA gives back to its communities is through its employee code of conduct. 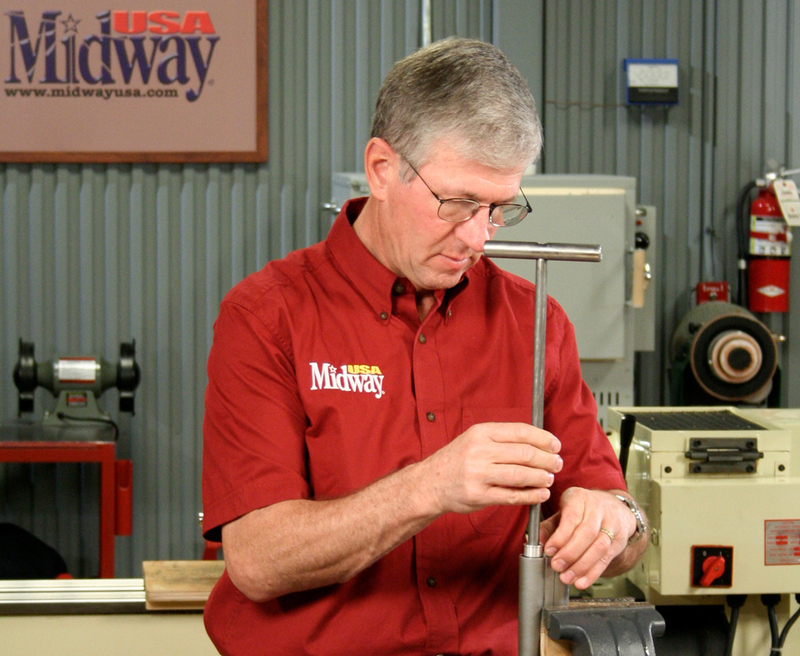 From entry-level staff to the chief executive officer, every member of the MidwayUSA family is expected to follow the code on and off the job. Standards of conduct include a high level of integrity and honesty at all times; respect for stakeholders (Customers, employees, vendors, shareholders); strict adherence to all laws, regulations, and company policies; fairness in all dealings; loyalty to the company and coworkers; candor with respect; and teamwork through participation.